Our handy ParcelDirect.ie tracking tool means you can track your parcel every step of the way on its journey. 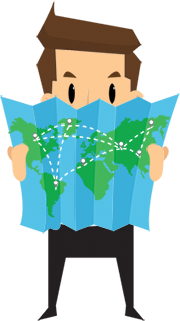 Whether it's a national, European or international delivery our great tracking tool means you can just enter your unique PD number to see exactly where in the world your parcel is. Just enter you unique PD number into the box below to keep an eye on your shipment progress. Your PD Reference Number can be found on the confirmation email we sent at the time of booking.